The cotton fabric is one of the most versatile fabrics and the scarf made of cotton is suitable for all seasons, and is preferred by both men and women. 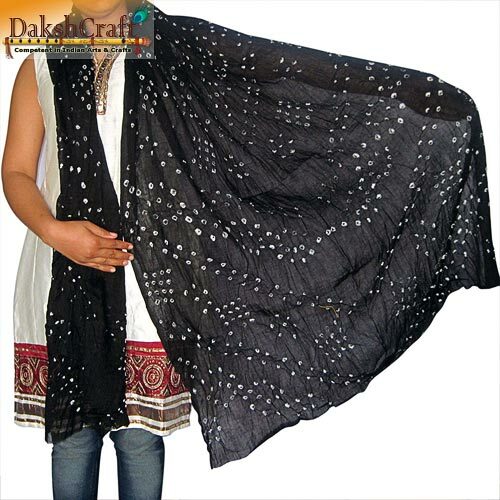 Cotton fabric with it's natural breathablity, easy care and versatility is the most sought after fabric to craft beautiful scarf Its applicability to all suit all seasons can be seen from the fact that the cotton scarf is cool in summer and warm in winter. 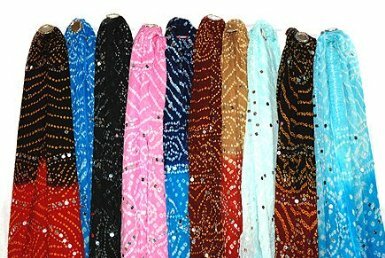 Cotton scarf can be found in a wide variety of colors, designs and patterns, and are ideal for both formal and casual clothing.Its pattern is something to watch out for. 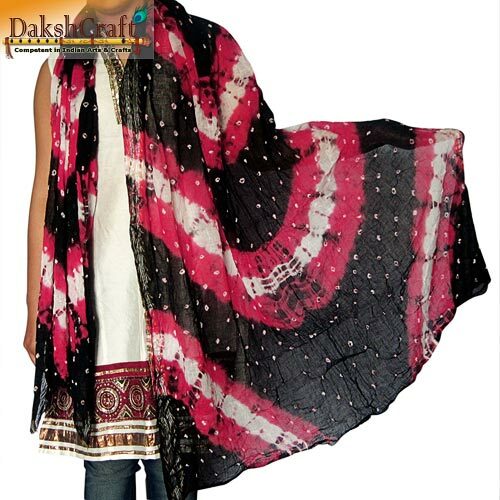 Hand painted yarns are used in making the scarf beautiful, their patterns being extremely artistic. Floral pattern, paisleys, striped, chequered, polka dots, etc. 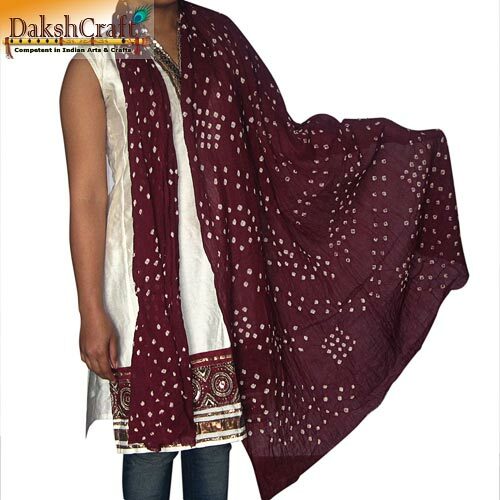 are some of the patterns in which these cotton scarves can be made.Cotton scarf can be worn with any outfit and it goes well with all casual and formal clothing. 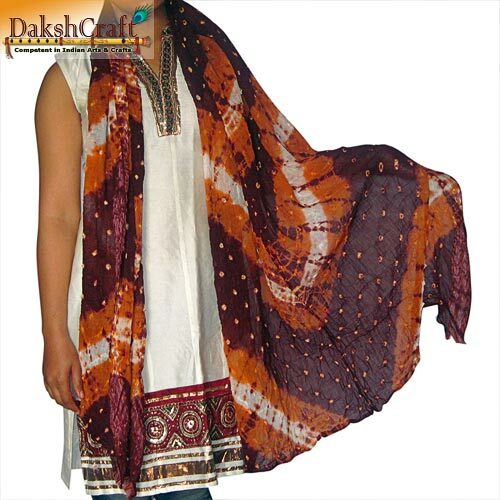 Feasible and affordable, cotton scarf suits everybody and is perfect to be worn in any season both summers as well as winters, because of its unique property of cotton shawls being warm in winters and cotton scarves cool in summers.It is used in many forms including as a head scarf, tying scarf, turban scarf, beach scarf, hair scarf, etc. It is the most popular choice for the youth, since they can be easily with coats, jeans, etc. It is also light in weight and soaks sweat well. The most important of all natural fibers, no other material is quite like cotton. Accounting for half of all the fibers used by the world's textile industry, cotton has many qualities that make it the best choice for countless uses. Cotton fibers have a natural twist that makes them so suitable for spinning into a very strong yarn. Cotton fabric is soft and comfortable to wear close to skin because of its good moisture absorption qualities. Cotton scarves are designed in the most simple manner but may come with decorative borders and embellishment in many of the designs. The motifs are designed such that each one is distinct from the other. 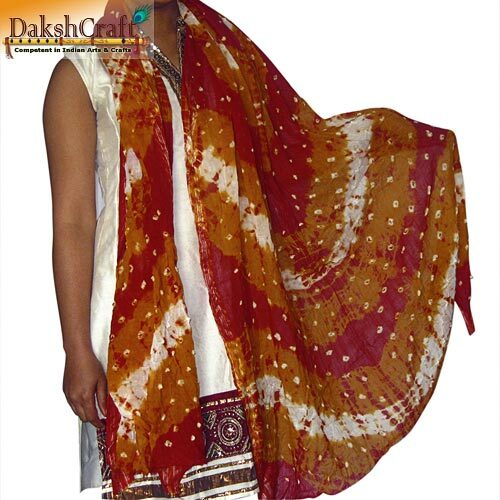 Cotton scarves are printed with the latest designs and the patterns including floral, geometric, paisleys and other prints. Tie-dye and intricate embroidery are also extremely popular.